Stone Age Design, LLC, can work with you in the design and creation of your stone masonry project, if you so desire. We will help guide you in the selection of stone, granite, or other materials that will be best suited for what you would like to accomplish with stone. Stone Age Design, LLC, has a vast knowledge of stone masonry practices and the tools necessary to complete a job. We prefer to utilize natural stone in our designs, but are always open to your thoughts and suggestions. If you already have a design plan, we are also very well versed in the reading and implementing of detailed architectural drawings. Stone Age Design, LLC, can work closely with building contractors, architects and homeowners to get the job done. Whether an antique granite boathouse where the granite pieces are tightly fitted giving the appearance of no cement joints, a fieldstone fireplace with cement joints showing, or a patio constructed out of large irregular bluestone with grass joints, all of our work will be top-notch. 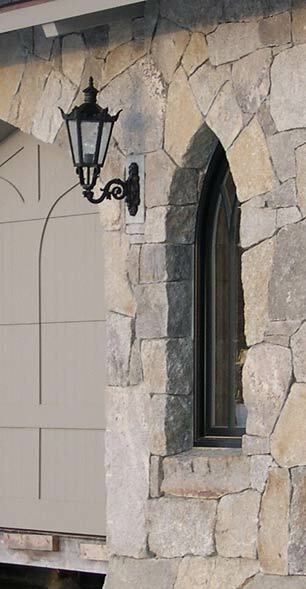 While our specialty is tight fitting joints, with little or no cement showing, and very crisp, straight corners, we can adapt to many different styles of stone construction. Although we prefer to work with natural stone and that is where our passion lay, we are also well versed in the implementation of cultured stone. Please give us a call at (603) 267-6600. We would welcome the opportunity to work with you to attain your artistic vision.